Harry Colebourn was a Canadian veterinarian from Winnipeg, though he was born in England. When WWI broke out, like many, he was sent to England first. On the train across Canada, he saw a baby bear in a train Station in White River, Ontario, on the north-eastern side of Lake Superior. 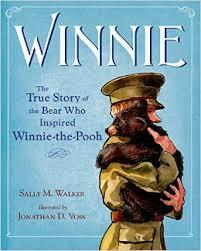 He bought the bear for $20, named him after his hometown, and took him on the troop train. Once in London, Harry realized he couldn’t really keep the bear, so he donated it to the London Zoo, where, a little boy named Christopher Robin Milne, loved to come and visit. The rest, is history. This book is a beautifully written and the illustrations by Jonathon D. Voss are gorgeous, softly bleeding into the white space surrounding it. 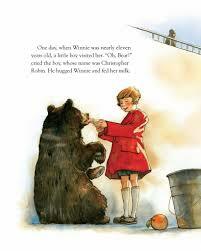 The endpapers have old, captioned photos of Winnie, Coleburn and Christopher Robin Milne. The Author’s Note at the end gives more specific details on the lives of Harry Colebourn and Winnie and provides sources for further investigation. 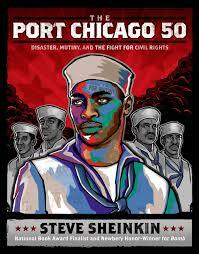 All around an excellent book. With its breathtaking scope and Fleming’s narrative finesse, The Family Romanov will lure even history-phobic readers deep into this fascinating – and comprehensive – history of the powerful and ill-fated Romanovs – the last ruling monarchy of Russia. Fleming retells the political and personal conflicts that lead up to the Romanovs’ eventual assassination and Lenin’s rise to power with the fluid storytelling of novelist, with sidebar material illuminating the contrasting lives of Russia’s lower castes and their growing frustration with their Tsar. Impeccably sourced and featuring well-selected historical photographs, The Family Romanov is both a wonderful introduction to this tumultuous, pivotal period of Russian history and a riveting tale of wealth, power, and political corruption that sets the record straight about the fascinating Romanovs and the fate of the notorious Grand Duchess Anastasia. 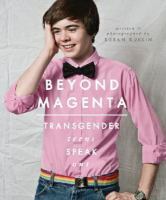 With its well documented sources and unusual center photo placement, this title should not be missed in any young adult nonfiction collection. If you are looking for something really good to read, check out the full list of the CYBILS Award winners. So, this year, I am sitting on two, yes TWO, book committees. Beginning today,I am a round 2 judge for the CYBILS Award in the Nonfiction for Young Adults category. There are 7 books I have to read or reread, between now and mid February when we announce the winner.This is a virtual committee and I am excited to be a part of it. On February 1st, I begin my work on the 2016 William C. Morris Debut Award committee. It is going to be an exciting year!Here’s what I need to read for the CYBILS Nonfiction for Young Adults category. You can see the finalists in the other categories HERE. 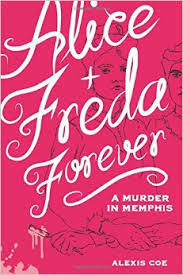 This one was not even on my radar, but I now have it on hold at the library. 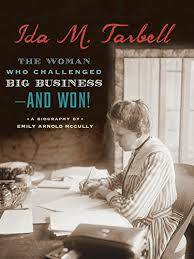 Ida M. Tarbell: The Woman Who Challenged Big Business—and Won! 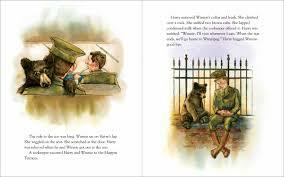 written by Emily Arnold McCully, and Published by Clarion Books, an imprint of Houghton Mifflin Harcourt Books for Young Readers. I’ve seen this one around, but hadn’t paid it much attention. It’s now on hold, too. 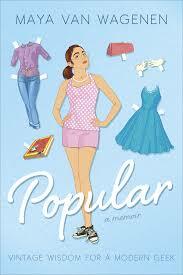 Popular: Vintage Wisdom for a Modern Geek written by Maya Van Wagenen, and published by Dutton, an imprint of Penguin Young Readers Group. Just guess who has been selected to be a YA Nonfiction round 2 judge for the 2014 Children’s and Young Adult Bloggers’ Literary Awards ME! to recognize the children’s and young adult authors and illustrators whose books combine the highest literary merit and popular appeal. If some la-di-dah awards can be compared to brussels sprouts, and other, more populist ones to gummy bears, we’re thinking more like organic chicken nuggets. We’re yummy and nutritious. Round 1 judges have to read all the nominated titles in their category and create a list of finalists. Round 2 judges read all the finalist tiles and come to consensus on a winner. I thought my first time through, I’d prefer to be a second round judge because I thought it might be a better place to get my feet wet. If you have read a children’s or young adult book this year that you really loved, you can nominate it. Public nominations run from Oct. 1-15 every year. The form will be live at http://www.cybils.com at 12:00 a.m. PST on October 1. They’ve tried to make the form mobile-friendly, so you can use your phone to nominate if you prefer. I’ve been reading 2 YA NF books recently, one of which I finally finished last night. I’m not sure if I am allowed to blog about them or not (I haven’t read the fine print yet) but let me recommend them to you with few words. 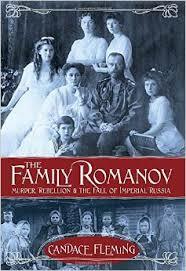 The Family Romanov by Candace Fleming is a look at the end of the Romanov dynasty in Russia. 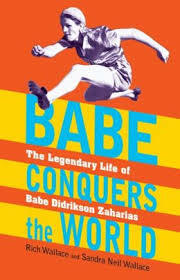 Babe Conquers the World by Rich Wallace and Sandra Neil Wallace is a biography of Babe Didrickson Zaharias. 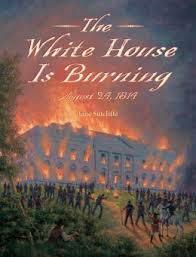 Two hundred years ago today, the White House burned. 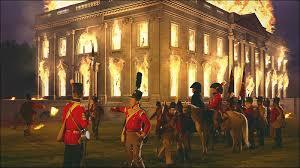 On august 24, 1814, the United States lost a battle to the British on the outskirts of Washington D.C.. Citizens and soldiers fled the city and the British entered the city and burned the Capitol building and the White House. 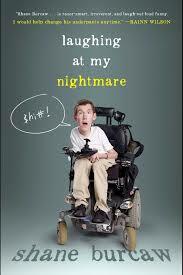 Jane Sutcliffe has a new book all about it. Drawing from primary sources, The White House is Burning tells the story of this one day in history, through multiple voices. beginning before dawn and moving chronologically through the night, we are skillfully introduced to major players and new technology, like rockets. In my mind Dolley Madison steals the show, with the letter she wrote throughout the day. This is a very readable history of on day during the War of 1812. Last week or so (time blurs at the end of the school year) my teaching partner asked me to do her a huge favor: go through the Scholastic and Arrow book orders and spend her 6000 points on books for the kids in her class. I laughed. This wasn’t going to feel like a job at all; this would be a delight. you know Albee will mix a lot of humor with the gruesome to make it palatable. Figuratively, not literally. each chapter is broken into parts with headings and the illustrations, some originals by Robert Leighton, some reproductions from the period covered, give readers a sense of what life might have looked like at the time. Each chapter is amply illustrated and has sidebars that add even more zest to the disgusting facts Albee writes about. 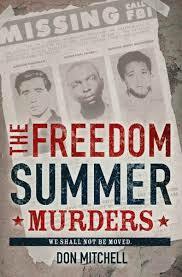 Backmatter includes a glossary, further reading and surfing, notes of sources, picture credits and an index.This is a well-researched book that every history teacher should have to spice up their units. 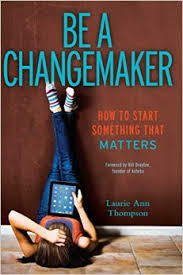 Upper elementary and middle school teachers would do well to add this to their classroom libraries. But be prepared for groans and gags from the kids as they read it.